For the past few weeks, we’ve been trying to transition VJ from our bed into her crib. We’ve (successfully) start with her there but I think we were both wanted her back in bed. The first few days, Carlo and I both stayed up late catching up on things but I think we subconsciously were afraid to go to bed. We had decided to put her there and then bring her back to bed with us when she would wake up. This method was going to work well since we both go to bed around midnight and that’s when she generally woke up. We tried this for a while until it got to the point that she would fall asleep on our bed and we’d just leave her there. At one point, I even said that I couldn’t sleep with out her. She’d been sleeping with us since she came home from the hospital. I didn’t want her sleeping alone yet…. I wasn’t ready. Then… something happened. 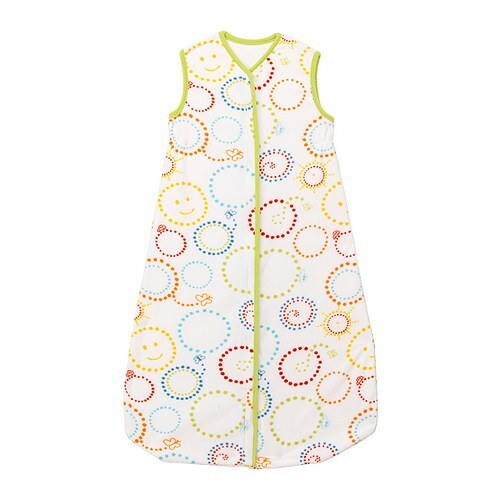 We went to Ikea and I saw this…..
Once I saw this sleep sack, I told Carlo we had to get it. That’s what VJ needed. I didn’t want to worry about her sleeping with blankets (since that’s a no-no). It’s really cold at night (because our heater gets shut off at night) so, she needed to be warm. She had a sleep sac when she was a month old and I loved it. She slept so well. She’s been sleeping so well now. She doesn’t make much noise and when she does, she goes right back to bed. So, now.. we’ve been VJ free (from the bed) for 4 days… kind of. I do bring her back to bed to feed her but, that’s at 4am. 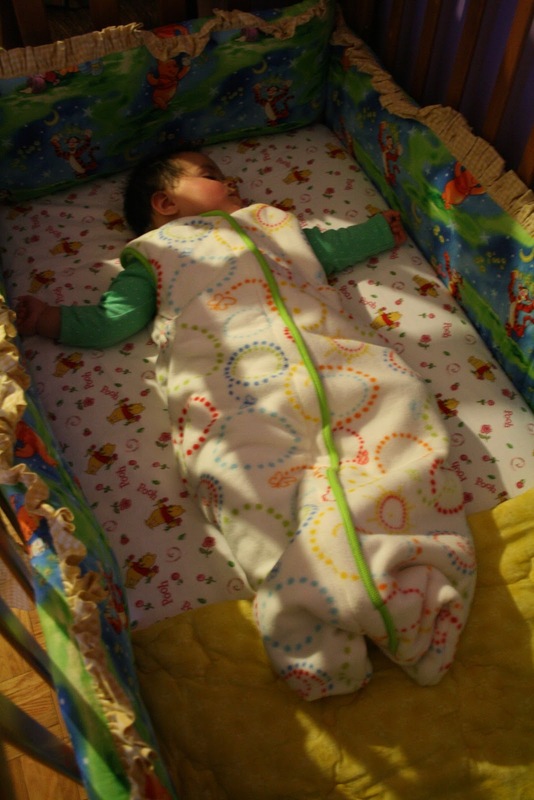 Since she’s been doing so well, we decided that after a week, we’ll put her back into her crib after her 4am feeding. I think we’re finally ready for her to sleep alone… since we’ve both have slept amazing these past few days!!! Hey, I think your father and I need some of those! When I get to bed, he already has my half of the blankets. Congratulations! That's a great milestone.